January 1, 2017 May 15, 2018 ~ Steve N.
I love omelettes. They’re a wonderful way to eat a savory (as opposed to sweet) breakfast. They, like other great dishes, have no bounds when it comes to creativity and what you can put in them. There are very few fillings that don’t work in an omelette. You’re only limited by your imagination. Most any veggie, meat, herb, spice, cheese, as well as some starches, such as potatoes, work in them. They’re great for dinner too. Load the eggs up with a veggie medley, and you have a healthy, light, and tasty meal. That thing is gross. And it’s what you’re likely to get in most restaurants, and especially, most diners. I never order an omelette in restaurants unless I’m absolutely sure they make it correctly. Diners, in particular, are the worst offenders. Very few make a proper omelette, and what you get at most diners is an overcooked, chewy, and bland mass of eggs with stuff mixed into it, like the photo above. It’s not very tasty, and it’s ugly to look at. Nor is it an omelette. The same goes for the omelette station at most breakfast buffets. I cringe every time I see one. You tell the cook what fillings you want in your omelette and invariably he or she then puts the eggs into a pan, throws the fillings in, and begins to stir the whole mess until it’s cooked through. The end result isn’t an omelette either. 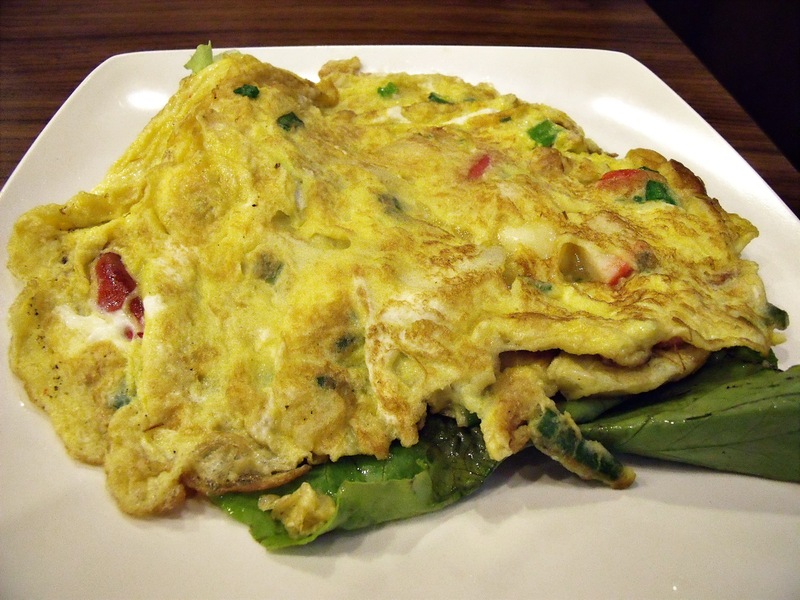 A proper omelette is a thin disk of beaten eggs that has a filling piled on top. The eggs are then folded over the filling. The eggs are very lightly cooked. They should have a bright, light yellow color with no browning whatsoever. In a proper omelette, the eggs act as a gentle cradle that holds together the flavorful filling. The filling in a proper omelette needs to be given special attention because it is the star of the show. Unlike eggs with stuff in it, the filling is not hidden in and surrounded by a mass of eggs. Care should be taken that the filling is cooked and seasoned properly, before adding to the eggs, and it should be something you’d want to eat on its own, without the eggs. 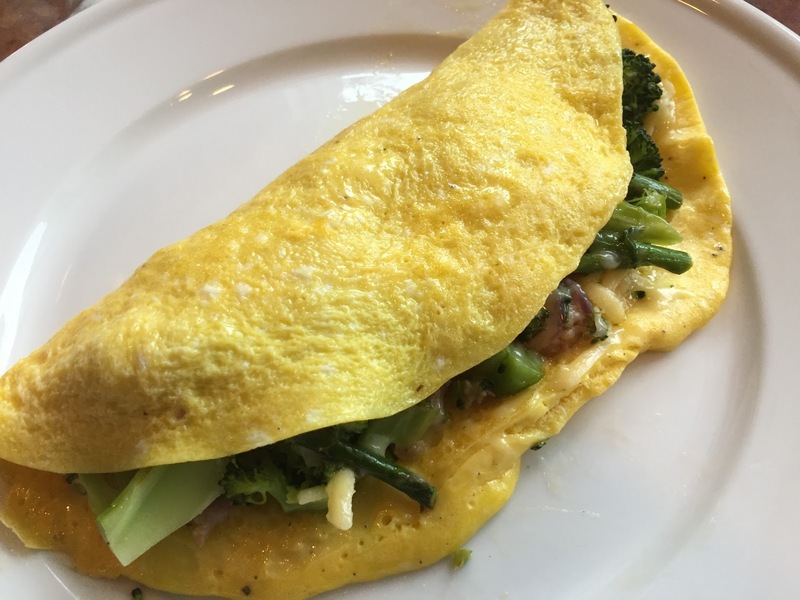 A real omelette—like mine above—is super tasty, light, and a joy to eat. If all you’ve ever eaten are eggs with stuff in them, a real omelette is a revelation, and it will ruin so-called ‘omelettes’ for you, forever.